21st September, 2015. The UN International Day of Peace dawns on a world where, for so many, the very concept of living in peace must seem unreal, like a distant dream. We must all, on this day of all days, think of and pray for those who are living in countries torn apart by war and violence, and those who are fleeing from their homes to escape unspeakable horror or deadly poverty. I feel deep gratitude to all those who are not just wringing their hands over the refugee crisis, but who are actively helping. Welcoming the weary, grieving and desperate people, opening their homes, working to do their part with donations of food, time or money. For many months we have been witnessing the plight of hundreds and thousands of refugees pouring into Europe and neighboring countries. For most people who watched the tide of human misery on their TV screens it was shocking, tragic – but unreal. It was a tragedy that was too vast for them to truly comprehend. And then one image, out of all the thousands of images, went straight into our hearts. A little Syrian child, 3 year old Aylan Kurdi, along with his brother and mother, drowned in the Mediterranean Sea. The photo showed the tiny body being carried, tenderly, out of the water. “Humanity Washed Ashore” said the headline. And it went viral. Aylan became a symbol of the refugee crisis sweeping Europe. Suddenly we were connected, viscerally, to the reality of that crisis. “Suppose that had been our child?” thought parents. It is the stories of individuals that reach into our hearts, helping us to understand that these refugees are real people with hopes and fears. Helping us to imagine what it must be like to know such desperation, such terror, such hopelessness, that we will risk our lives and the lives of our children in the hope of finding security. And peace. 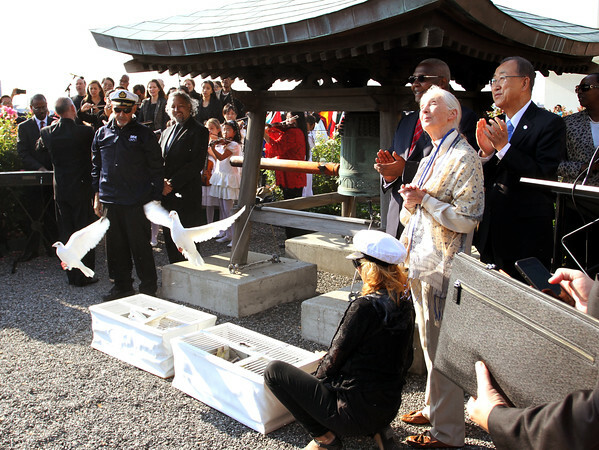 On this day, when the Peace Bell rings out at the UN HQ in New York, let us all think, and think deeply, if there is anything we can do to make a difference. For we can no longer leave the solution of such an enormous problem to the politicians alone. And while we may be lucky enough to live in peace ourselves, we should not take this for granted. We must work to maintain peace in our lives, our communities, our nations. On this International Day of Peace I hope that we all spend time thinking of the millions for whom there is no peace today, for whom there was no peace yesterday. Some who hear or read these words understand the plight of the refugees only too well, for they too have fled violence. For the rest of us, let us spend a little time imagining ourselves in that situation. Imagine it was not little Aylan whose photo so moved you, but your own child, or some child you know. And then follow where your heart leads you. As you prepare your celebrations for this year’s International Day of Peace, here are seven ways you can get involved and help spread the message of peace and hope. We also invite you to TAKE ACTION with our youth program, Roots & Shoots! 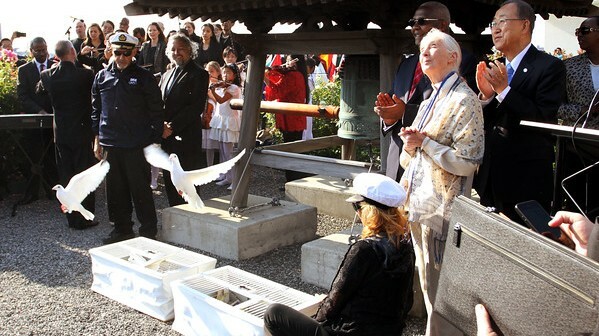 Build one of Jane Goodall’s Roots & Shoots signature Giant Peace Dove Puppets. Make a smaller dove puppet out of recycled materials, or a paper dove. Show off your Giant Peace Dove Puppet in a parade around your school or community. Find local events. 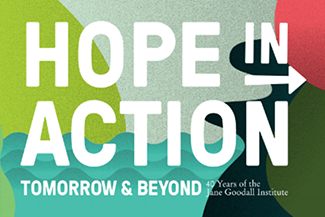 Learn more about the UN’s observance of the Day of Peace and download this year’s poster. Plan a project in your community that celebrates peace and benefits people, animals and the environment. Share a #PeaceDay selfie on social media. Print out this PDF and take a selfie! Tag your picture with the hashtag #PeaceDay. Watch the Day of Peace celebrations LIVE on September 21 starting at 8:00 a.m. EST.